Tempe, Ariz. – May 25, 2011 – Rio Salado College (RSC), part of the Maricopa Community College District, and The New York Times Knowledge Network (NYTKN) have joined together to provide a national online post-baccalaureate teacher preparation program. This program is designed for those who have a bachelor’s degree and are seeking teacher certification in elementary, secondary or special education. Details about the program can be found at www.discoverteaching.net. Rio Salado College is part of the Maricopa Community College District, one of the largest community college districts in the nation. The courses will be taught by Rio Salado faculty and supported by the EpsilenTM eLearning platform. Students will be able to network with online classmates across the nation. The online course delivery system offers flexibility for working adults. It also provides opportunity for residents in rural communities with limited educational resources. Enrollment options include 48 start dates throughout the year, which is an added benefit for students who may be changing careers. According to the Bureau of Labor and Statistics, demand for qualified teachers is expected to increase nearly 12 percent over the next five to six years with an even higher need for math, science and bilingual teachers. 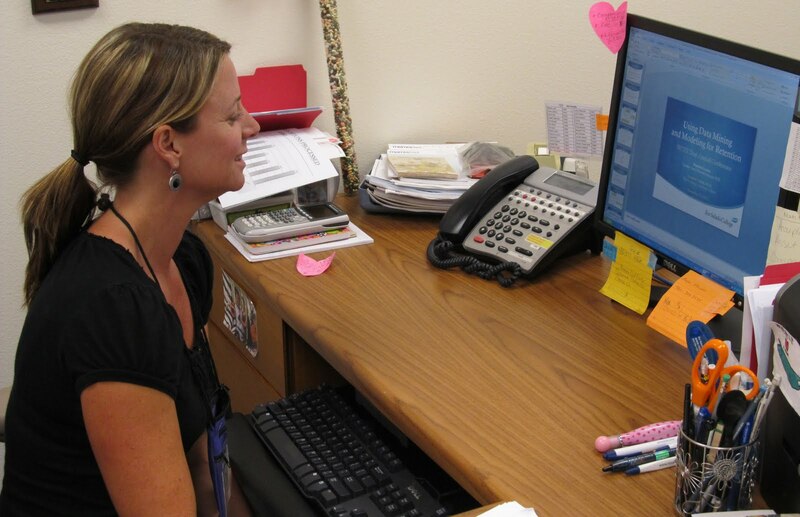 “By weaving online course content together with ‘real world’ application, through school observations and hands-on interaction in preK-12 classrooms, teacher preparation students are very prepared to enter their own classrooms upon program completion,” said Janet Johnson, faculty chair of education for Rio Salado College. Initial outreach efforts will be piloted in Arizona with plans to expand to the national market. The Post-Baccalaureate Teacher Preparation Program is approved by the Arizona State Board of Education and certification is accepted in many states nationwide. Admittance to the program and state certification are based on state-by-state requirements. It is the responsibility of the student to verify those requirements. More information about the program can be found at discoverteaching.net. Rio Salado College was founded in 1978 and serves one of the largest online enrollments nationwide. The college was recently recognized as one of eight highly productive institutions of higher education in the nation by McKinsey & Company. Rio Salado offers general education courses as well as a variety of degree and certificate programs with more than 62,000 students enrolled annually. It is also Arizona’s largest provider of Adult Basic Education. The Maricopa Community College District is one of the largest community college districts in the nation and serves more than 250,000 students annually. It includes 10 colleges - Chandler-Gilbert Community College, Estrella Mountain Community College, GateWay Community College, Glendale Community College, Mesa Community College, Paradise Valley Community College, Phoenix College, Rio Salado College, Scottsdale Community College and South Mountain Community College. The District also includes the Maricopa Skill Center, SouthWest Skill Center, several satellite campuses and business/industry, technical and customized training institutes. The New York Times Company (NYSE: NYT), a leading media company with 2010 revenues of $2.4 billion, includes The New York Times, the International Herald Tribune, The Boston Globe, 15 other daily newspapers and more than 50 Web sites, including NYTimes.com, Boston.com and About.com. The Company’s core purpose is to enhance society by creating, collecting and distributing high-quality news, information and entertainment. Epsilen is an online learning environment with global networking, learning management tools and ePortfolios. Epsilen is majority-owned by The New York Times Company. Web sites like Pandora, Netflix and Amazon use data collection and analysis to predict the types of music and movies a user might enjoy or to offer relevant product suggestions to online shoppers. Rio Salado College is applying similar predictive modeling technology to increase completion and success rates in the school’s online courses. The predictive analytics program supplements an instructor’s ability to recognize an at-risk student and helps them take steps to intervene. In addition to supporting individual students, the pilot program is also being used in course design. Surprisingly, grades on early assignments are not an important indicator. According to Felix, changes made to online courses in the pilot program are intended to promote the actions modeled by successful students. For example, brief introductory assignments require students to log in early and smaller more frequent assignments encourage habitual site engagement. “We determined the factors that contribute to success in an online course and made changes to encourage these behaviors,” Felix said. Monitoring of student engagement takes place in the background of the online learning environment. Using methods similar to those employed by consumer Web sites like Netflix or Amazon, data is gathered and analyzed without a noticeable impact on the user experience. Public facing elements of the program will be tested in the second summer semester of the 2011 school year. Students in pilot courses will then have the opportunity to self-monitor. Rio Salado is one of only six institutions participating in the Predictive Analytics Reporting Framework project. PAR is a collaborative research project initiated by Western Interstate Commission for Higher Education’s Cooperative for Education Technologies and funded through a $1,000,000 grant from the Bill and Melinda Gate’s Foundation. The program will pool anonymous data collected from participating colleges to create a more accurate model of successful behavior. Participation in cooperative programs like PAR represents a college-wide effort to improve persistence, completion and student success. Two weeks ago, Catherine Hendrickson celebrated at Rio Salado College’s graduation, along with hundreds of other students. She worked hard the last few years as a full-time student, even making the Phi Theta Kappa honor society. She earned an associate degree in chemical dependency, and yet, that was only half the battle. “I was sentenced to prison, and used it as an opportunity to change my life,” said Hendrickson, detailing the adversity she has had to overcome to reach her educational goals. Hendrickson lost her parents at an early age, and had a turbulent upbringing – at one point she was forced to live on the streets - which eventually led to her incarceration. “I was driven to make terrible choices in my past, which in turn led to the consequences of criminal activity,” Hendrickson said. However, incarceration may have led Hendrickson on the road to a better life. Hendrickson set about taking all the classes toward a computer technology degree. And yet she found something was missing. Hendrickson changed her major to chemical dependency, and has never looked back. “I was release from prison a year ago, and clung to my graduation goal with fervor,” Hendrickson said. She credits Rio Salado’s online instructors, her family, friends, pastor, and her own determination for her success. That person is someone who is dedicated to helping others. In the future, Hendrickson hopes to work with incarcerated women, to help them overcome the obstacles associated with drug addiction. Earning her degree has also intensified Hendrickson’s appetite for education. She has been accepted into a bachelor’s degree program in counseling, and hopes to ultimately earn a doctorate in behavioral health. “I know without a doubt that if Rio Salado had not provided the opportunity to start classes while in prison, I would not be here today,” Hendrickson said. For more information about earning an associate degree, contact Rio Salado College. When nearly 200 graduates walk across the stage at Rio Salado's GED graduation, they will walk away with more than a diploma. They will take with them a sense of accomplishment, confidence, and the successful completion of a life goal. 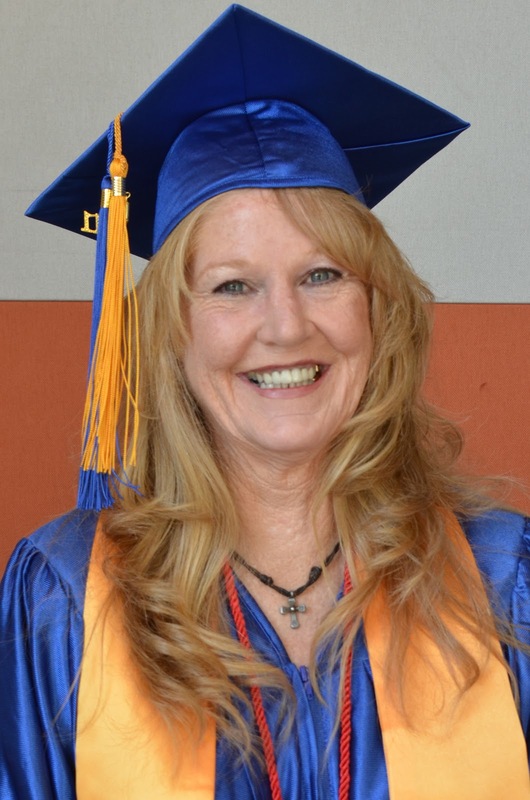 "Receiving a GED has a tremendous impact on the lives of our graduates, said Lilybeth Brazones, adult basic education program director for Rio Salado College. "They will have choices in terms of education, to get a job or to add to their skills in their current job." The graduates come from a variety of circumstances. 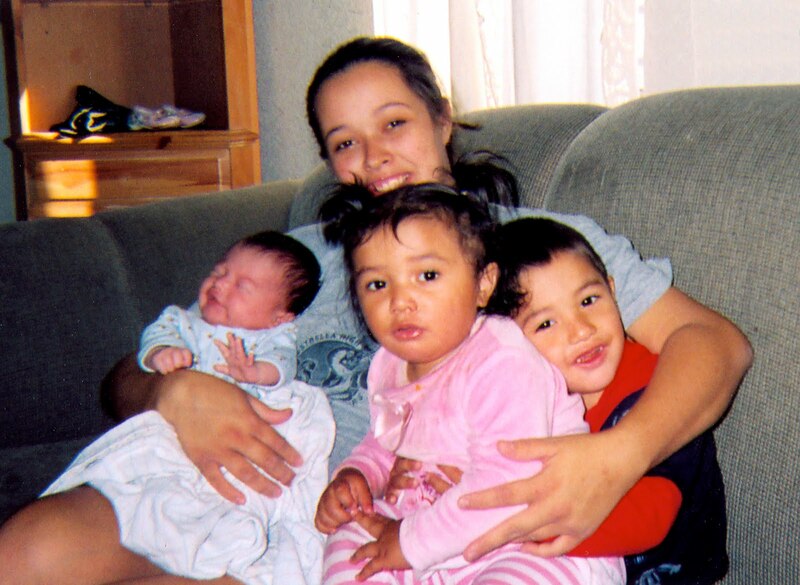 Many GED graduates work full-time and take care of families. They range in age from young to old. Each graduate has overcome challenges unique to them and each graduate has their own story of triumph to share. "I had to do something with myself for my life and for my kids, because I am concerned for their future," said GED graduate Jessica Hutton. "Getting my GED brings a lot of accomplishment. I am doing something good for my children. I don't want them growing up without an education." Hutton, 23, has four young children, works as a fast-food restaurant manager and cares for her husband who has been battling leukemia. "Our graduates don't give up even after dealing with life's adversities and challenges that they meet as they strive to achieve their GED diploma," said Brazones. "They have had to overcome personal challenges to finish their classes and have a lot of determination and willpower to achieve that goal." Depending upon the background of the student, it can take as little as a month, or up to several years to complete the program and take the GED exam. "Helping our GED students is challenging and very rewarding at the same time. Students need to improve their skills in reading, writing, science, social studies, and math in a relatively short amount of time," said Brazones. "The challenge for the instructor is to accurately determine the students' skills through our assessments, and make sure that the study plan for each student is appropriate for what they need to pass the GED exam. We also need to provide students with the additional resources and support that Rio Salado College offers so that they can transition to post-secondary education." 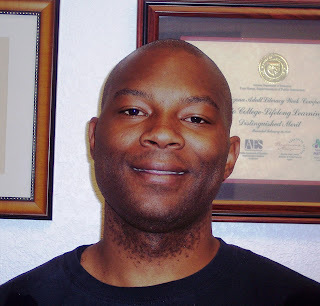 "It took me a year to complete my GED," said Hutton. "It was hard finding time for work, family and school." This year's graduation theme "New Horizons, New Beginnings" has special meaning for GED student graduation speaker Jean-Pierre Jordan. "Getting my GED has made me feel like I can start all over again. I have gotten a second chance," said Jordan. "It has helped me focus and learn what it takes to have a career and made me realize that I love education and will continue on to college." Jordan, 30, has plans to be a pharmacy technician and eventually a pharmacist. Rio Salado's 2011 GED Graduation, a ticketed event, will take place at the Orpheum Theater May, 3. GED graduates for the 2010-2011 academic year total 457 with 205 participating in the ceremony. More than 10,000 students have received their GED preparation at Rio Salado since 1978 according to Brazones. Rio Salado College offers GED preparation classes online and at seven Basic Adult Education locations throughout the Valley. For more information about earning a GED, contact Rio Salado College.